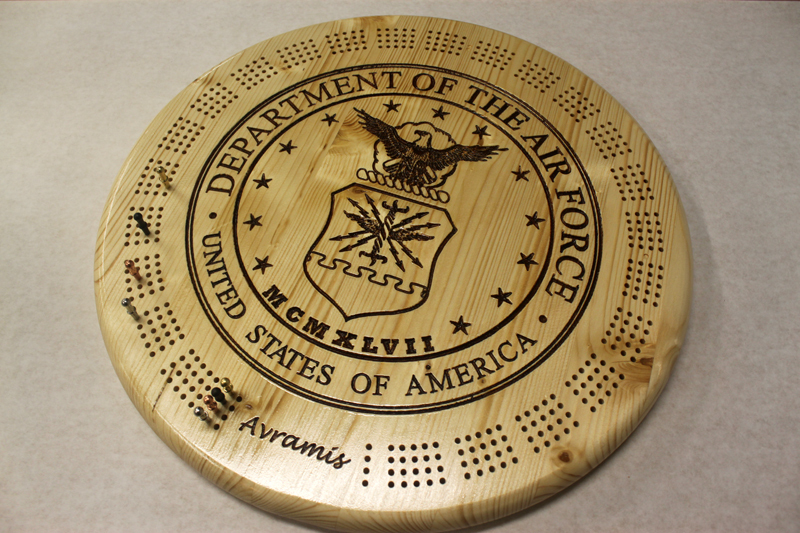 The pictured board face features the USAF Air Force logo and is engraved with the name, date or phrase of your choice. 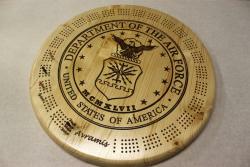 The image is engraved into the surface of the wood, then filled with a deep brown acrylic to highlight it. The board is finished with layers of shellac to protect it. 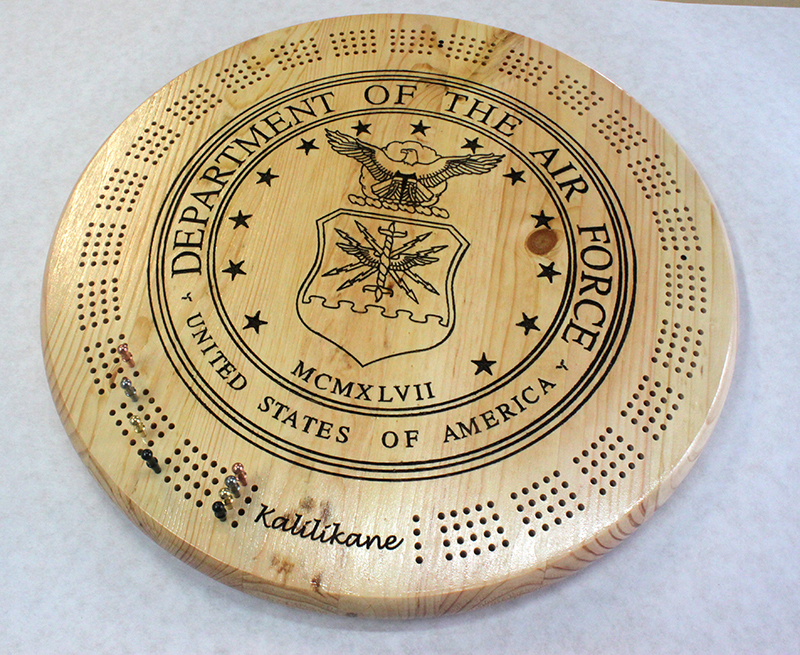 The picture shows a two-track layout, but four tracks are included in the price and your board will have four tracks unless you specify otherwise.